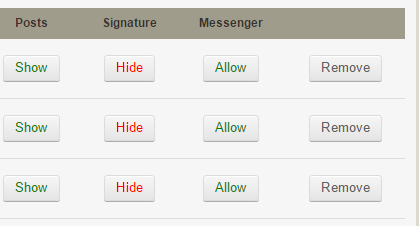 The 'ignore' feature can be used to automatically block posts and signatures from the members of your choosing. Here is a quick tutorial on how to use it. Edited by J311yfish, 31 May 2016 - 01:35 PM. Thanks for the tutorial. Very interesting. That is all good for the forum and ignoring various individuals. Doesn't explain how to ignore the forums all together. I still keep coming back. → Can You Add a Forum "Ignore Button"